The mini diaphragm gauge was developed for high purity applications with limited space requirements, such as smaller integrated gas stick and gas box assemblies. 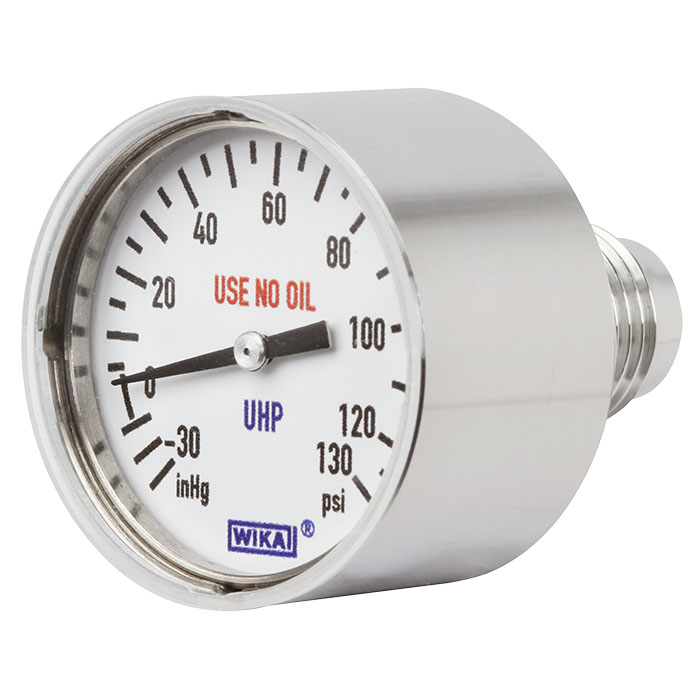 The nominal sizes of 1" and 1.3" are ideal for applications involving gaseous, liquid and corrosive media up to 160 psi. The mini diaphragm gauge is helium leak tested and the internals are electropolished to optimally meet purity standards. 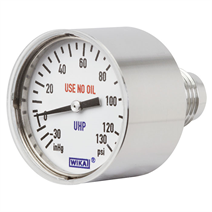 With such UHP characteristics, the mini diaphragm gauge is suitable for the semiconductor and flat panel industries, various gas distribution systems, as well as medical gas applications. The mini diaphragm gauge complies with SEMATECH and SEMI standards to optimally ensure the quality your applications demand. Model 432.15, nominal size 1.3"